The August I Can Read Carnival will be hosted here! You can drop off your links in the comments any time, posts written throughout the past year are great! Reviews and other posts related to beginning and early readers are welcome! I'll be excepting links through August 27 and the Carnival will be posted August 28. Monday - I had rather vaguely wished over the weekend I could have some time off. The universe snickered at me and I woke up on Monday feeling sick as a dog. Yay sinus infections. Miss Pattie had to go out of town, so I had to come in for Tiny Tots at 6:30. I got our reference assistant to cover my 9-1 shift, but I was working anyways because I had to cut out all the pieces for the sewing workshop at 3:30 and I had to cover her desk shift from 1-3, then get someone else to cover me while I did the sewing workshop. The sewing workshop went well - 9 girls had registered and most of them came and a couple brought friends and we had one drop-in. They all learned to thread a needle and they made a little pouch, which they all finished, despite tangling threads, and some impatience from the younger ones. Yay! We used the instructions from Jane Bull's Made by Me. By 6:30 I felt truly blah, plus a sore throat, and only 3 kids came to Tiny Tots, so it was a rather abbreviated storytime. Tuesday - Last big Tuesday performer! We had Sandy Beneke of Pilgrimage Dance - all you Texans, she's moving down your way, so take advantage! Some great dancing and storytelling - and I have some new ideas for things to do in storytime for Narrative Skills. Miss Pattie had a huge toddler storytime this morning too. Wednesday - Oh boy. Why do things go wrong at the worst possible times? 8am staff meeting, torrential rain, Head Start showed up an hour early at lapsit, instead of afterwards, still am not sure how that happened, so by the time our program on kids in motion with a local chiropractor started most of them had left, only 35 people came to Lego Club, probably due to the icky weather, and it was a looooong evening on the desk. Thursday - Great Preschool Interactive, for some reason it's all girls this summer and they loved Roxie Munro's Hatch and doing cutting and glueing afterwards. Friday - Small toddlers group - our Friday toddlers have been falling off, probably b/c of the construction. Just miscellaneous stuff, other than the printer and copier both going nuts, while I was on the desk of course. 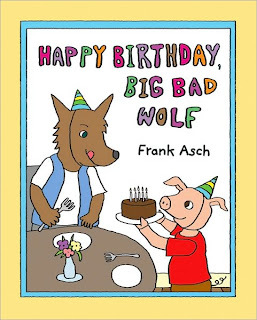 Frank Asch, best known for his Moonbear books, has returned to his original illustration style in this story of three little pigs and a big bad wolf. Poppa Pig, Momma Pig, and Little Pig are having a quiet afternoon in their little brick house when the Big Bad Wolf knocks on the door. Unfortunately, Little Pig thinks it's a surprise party and happily welcomes the Big Bad Wolf into the house. His parents decide to go along with it and they throw the wolf a party. They bake a cake and Little Pig raids his toy box for a present. The wolf is surprised and pleased with his chocolate cake and snuggly rabbit...but still plans to eat the pig family. Until they run and hide in the forest after he blows out the candles on the cake. The wolf, upset that he's been tricked, begins to cry and Little Pig races back to comfort him. They play birthday games and the wolf gets supper after all - but soup and salad and vegetable casserole instead of pork, with chocolate cake for desert. The wolf stays over on the couch and everyone has a new friend. Fans of Asch's blocky, simple illustration style in Moonbear will be pleased to see a similar style here, although the backgrounds and general color scheme are much lighter. 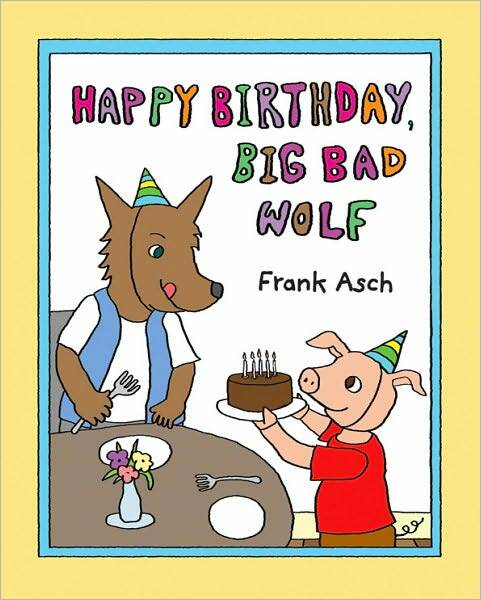 There's nothing particularly new about this story of hungry wolf reformation, but the birthday theme is a nice touch and Little Pig's naivety that keeps messing up his parents' plans to escape will get some giggles out of the listeners. Asch's illustration style isn't to my personal taste, but the one problem I really have with this story is its length. Every page has a large chunk of text, ranging from four or five sentences under a half page illustration to a complete page of text facing an illustration on the opposite page. 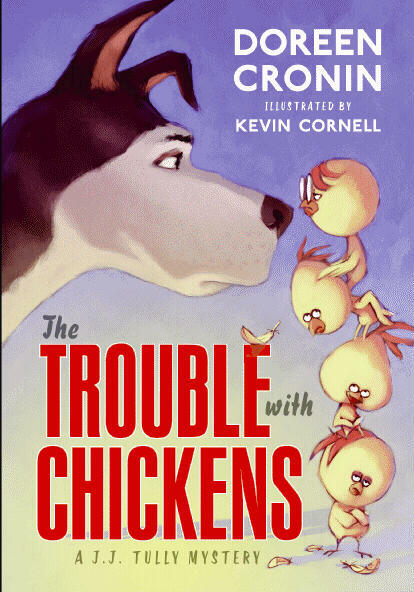 The length of this story makes it unsuitable for younger listeners; only a very quiet preschooler or kindergartener is going to sit still for something this long and it's really better suited for 1st through 3rd grades. However, the story itself is a little young for the upper grades, which leaves it drifting in "too much text" land. Verdict: Purchase if you have a strong group of Asch fans, but there are many birthday and big bad wolf stories just as good but much shorter. At last, Alien Agent Zack Gaither is going into outer space! One of the things I really enjoy about this series (asides from the humor, fun characters, excellent plotting, cool illustrations…er, where were we?) is how it changes and grows as the reader progresses. So while we start with a hilarious and action-packed couple of chapter books, by the time we get to #4, Alien Encounter, we’re dealing with more mature emotions as Zack struggles to accept who he is and relate to his dad. 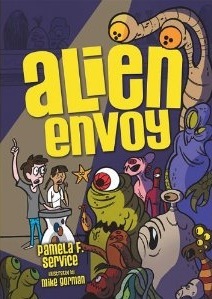 Now, in book #6, Alien Envoy, Zack moves out of his “comfort zone” and for the first time explores the alien planets that are his rightful heritage. Everything is on schedule for Earth’s invitation to join the Galactic Union. Unfortunately, there are some very bad aliens out there who don’t want it to happen. It will take Zack and all the friends and allies he’s made along the way to save Earth from the aliens who want to keep it out of the Union and use it for their own selfish and evil ends. Zack continues to grow up and mature in this story, although there’s still plenty of action, space adventures, and weird aliens. He and some of his friends are still kids, with a child’s outlook on life and reaction to the scary and unexpected events that keep happening to him, but he’s also learning to take responsibility for some big problems. 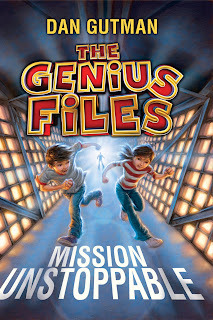 This is a satisfying continuation of the Alien Agent series and one every kid will be eager to read. Verdict: If you don’t have the Alien Agent, buy it now! There are only six volumes out right now, so it’s not a huge expense to get the whole series and most of them are available in paperback if you really need to save. This latest adventure of Zack and his friends is a great continuation of the series, including all the elements fans love without repeating too much or getting bogged down in explanations. Highly recommended. The detailed story of Amelia's life is interspersed with a moment-by-moment recounting of her disappearance and the search missions that attempted to find her. In these inserts, we see the excitement, worry, and the many mysterious clues and radio messages that made her tragic disappearance such a huge national event. 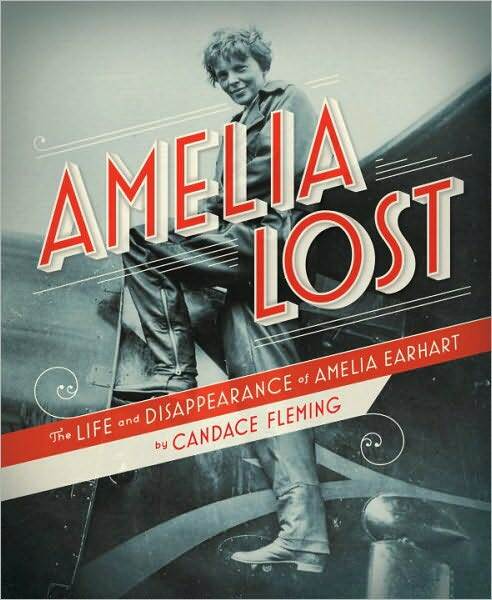 The biographical information about Amelia's life is detailed and emphasizes her complex personality. Fleming doesn't shy away from Earhart's painful childhood with an alcoholic father, her family's poverty, and her own driving ambition for fame. Controversies over her university grants and public press is also included. She is portrayed sympathetically, but as a real person, not a legend. Maps, photographs, original documents, quotes from contemporaries, and information on historical events that shaped Earhart's life are sprinkled throughout the text. A detailed bibliography, list of websites, and source notes are also included. I reviewed this from an ARC, so didn't see the photo credits and index, but they were both marked as to be included in the final edition. Verdict: A required purchase for your biography section - weed your old Earhart biographies and replace them with this title. It seems crazy to think about next summer, with this year's summer reading only half over (we go mid-June to mid-August) but I can't stop the ideas from joggling in my mind! This has been an amazingly successful summer - and year. In June, our attendance statistics were already almost 2,000 higher than last year at that time. We've met and passed the 800 summer reading registration goal we hit last year and kids are still signing up. I've had good turnout for pretty much every program and phenomenal numbers for some like the teen Body Art program and our Messy Art Club. I'm also, quite frankly, completely exhausted and wondering how I will make it through the rest of summer. In the last four weeks, we have three performers, four movie showings, four preschool interactive programs, another messy art club, two (or is it three?) more lego clubs, a book club, after hours pizza party for teens, end of summer reading party for all ages, and a three day Scholastic Book Fair. The last week of summer reading I'm working 3 nights and Saturday. I also have another summer school pre-kindergarten visit (only about 80 kids), desk time, budgeting, collection development, volunteers to supervise and find work for, an intern, two aides to supervise, displays to update, publicity to make and distribute, grants to write, several professional development things to attend in August, summer flannelboards for storytime to finish, toddler storytimes to sub for, and probably several other things I'm forgetting at the moment. Oh yeah, special summer report to write. We've actually had about the same number of programs this year as in the past, but the higher attendance numbers and the fact that more of our programs are active, rather than passive, makes the whole thing a lot more work. I've looked at several blog posts and various discussions talking about why summer programs are so heavily emphasized, issues with the continued agrarian model for school years, etc. In theory, I'd agree that we should have about equal year-round programs and summer should not be over-emphasized. In practice....most kids are heavily scheduled during the school year, we live in Wisconsin so there's quite a bit of "bad" weather to combat, not to mention the many, many kids and teens who have informed me they only read/go to the library during the summer. We get good numbers during the school year, but we need the heavy summer programming for the really strong attendance. So, I'm thinking now about how I can make the whole thing less exhausting, more efficient, and and still have enough programming for everyone who wants to come. I love giving out the free books to the kids who sign up, but I may have to let that go. It's highly time-consuming to gather enough chapter books - I tried having volunteers use bookmooch, but that has NOT worked well and I need to do it myself. I didn't hand out free books to the 0-5 group because I wasn't sure we would have enough for everyone, but that confused people and I think we might have had enough anyways and then we tried giving them out as prizes and...it has just been too confusing. The 0-5 program has been popular, but it is too confusing to try to do it separately. We quickly dumped all the prizes in together. Lots of parents don't "get" why we would have a program for the really little ones and having separate logs for each kid is a pain, especially when you have multiple littles. I've simplified the registration process, but record-keeping is still a problem. It's great to just have people write their name, school and age (I really don't think phone numbers are essential, but I was required to include them) on the list, but then keeping track of who has won their pass, counting names, how many kids from which school, was all supposed to be done online. But I underestimated how long it would take to enter that many names into the online database - I'm still behind. Plus, most of the reference staff don't like using the database to mark kids who have gotten their passes, so they're writing them on paper and then those have to be entered as well. I've also pared down and simplifed the actual program, but it's not optimal. Too many kids finish their activity/reading logs the first couple weeks and then never return. Too many other kids sign up and then don't participate. I also feel that although I got rid of all the huge drawing prizes for kids 12 and under, there's still too much emphasis on the prizes - kids should be more excited about reading and fun activities than a piece of plastic or a sucker. I need more organization! More organization would allow me to utilize my volunteers better, instead of them being a drag on my time. More organization and training would help my aides take care of some things like passive programming (movie showing, lego club, etc.) which just need a staff member present as well as some publicity so I could concentrate on active programming and outreach. Better organized aides and volunteers could take care of some of the grunt work of summer reading (stamping, registration, distributing prizes) which currently clog our information desk (we have a combined services information desk in the children's area which includes adult and children's reference, summer reading, computer help, etc.) and displays. I farmed out many of our displays this year, but it took time to show people what they should look like etc. We need to start this earlier. I need more pre-planning. This summer's more extensive programming and several other factors combined to me just not being really ready (note to self - put off all personal crisis until after summer reading). I need storytimes planned ahead of time instead of the night before, I need to purchase supplies before summer begins instead of racing to Walmart every other week. I need more staff, more time, and more money. We all have dreams. So, what do I have? One ten hour aide during the year and an additional twelve hour aide during the summer. Teen volunteers - they rarely come at regular times because of vacation and summer activities. I had many teens fill out our volunteer forms but never return and several of my volunteers are drop-in bored kids "can I help you NOW?". Possible intern, since it's going really well with the one I have now, so Milwaukee may put us on the list for future interns! I have the last two weeks of August and December and the first week or two of January with no programs for planning time. I have the possibility of additional grant money from United Way this year, but there will be none next year. Most of my performers were paid for with this money, since my programming budget is about $750. Most of my local donations are monetary in small amounts. I usually send out about 20 letters and get maybe 5 donations of $50 each. Our Kiwanis Club has given us a couple hundred for summer reading and the VIP Aktion Club gives us a couple hundred for programming as well. What can I do with what I have? Organize and do more extensive training with aides and volunteers. Plan and budget ahead of time so I can focus on programming and interaction with patrons. I will be cutting down the number of programs we have this fall, so I will have more planning time hopefully. Organize donation requests and grants ahead of time. Anyhow, those are my thoughts right now. Onto the week! Bring down the screen from upstairs. Get someone to help me open it b/c it was stuck. Detach and bring down the job seeker laptop, since the other laptop won't play movies. Hook up the projector and laptop. Move all the tables in the Storyroom. Set up chairs. Bring in bean bags and loungers from upstairs. We had 3 teens, 1 other girl, and a couple families that came briefly. The movie started skipping half way through, we had technical difficulties, etc. etc. Tuesday - I did toddler storytime with a theme of "fives." We started with Jim Gill's The Tempo Marches On (got to remember this doesn't work well with toddlers) then we did Elizabeth Mitchell's Sunny Day, then Duck Dunks by Lynne Berry, then five little monkeys with flannelboard, then five little peas, then Christelow's Five little monkeys sitting in a tree, then five little ants (3 times) then Christelow's Five little monkeys wash the car, then we made suncatchers and I tried to catch my breath! Our performer today was Storywagon (paid for by the consortium's grant) a musical group, Fox and Branch. They were AMAZING, it was a perfect all ages program and I bought all three of their children's cds for the library! Wednesday - My intern did baby storytime and I went to the dentist. For our last Messy Art Club of the summer we distributed window crayons and window markers (purchased at Walmart) and let the kids paint our windows. They LOVED it and it really wasn't messy at all...until they finished and I and my aide and volunteer started to clean the windows. It comes off easily with a wet paper towel...but there was so much that it took forever and it smears and we only got a few windows clean. We'll have to keep doing a few windows a day before it's all done! Thursday - Preschool Interactive is still going strong - we're going to switch to Wednesday in the fall and our town will have 4k for the first time, so we'll see how that affects numbers. Realized I should be squeegeeing the windows, not mopping them with paper towels, so the cleaning is going MUCH faster. Suddenly remember I have to be at the middle school for summer school storytimes at 8am tomorrow. Blah. Friday - I did a frog storytime for the pre-kindergarteners at summer school. Only about 80 kids, 4 classes, but I was still hoarse at the end! I felt unprepared, probably because I left my schedule at home, but summer school II is always a little more casual anyways. It was pouring rain and miserably hot and sticky in the middle school. Ugh. Anyways, I worked a closing shift at the library and then finally time for some sleep! These characters were so realistic they annoyed the heck out of me. Which, I suppose, is the hallmark of a good writer. Bossy Deja and her best friend Nikki are dealing with normal, everyday problems – Nikki thinks her parents might be getting a divorce, Deja is mad that her aunt won’t let her eat candy…then their teacher announces that the elementary school is going to have a student president. Deja is absolutely sure she is going to win and goes into action right away, appointing Nikki her campaign manager and bossing people right left and center. She thinks her only serious competition is perfect Antonia, but Deja is in for a big surprise. Unfortunately, Deja never really learns anything from this encounter. She ignores Nikki’s concerns about her parents, makes everyone else on her “team” do extra things for her, and dismisses Yolanda because she’s fat and unpopular. Readers will be relieved when Deja gets a small measure of comeuppance and is disappointed in her bid for even more control, but all Deja takes away from the experience is the belief that she didn’t win because she is only a third grader – next year, when she’s a fourth grader, she’s sure she’ll make it. Nikki and Deja’s friendship was what bothered me most. Younger kids often do have friendships with less give and take than adults. The more aggressive and confident ones will take charge and the others will be content to follow. But that doesn’t mean it’s a good model. Nikki stands up to Deja a few times, but as soon as Deja needs her back to bolster her ego, she falls in line. Like I said, these characters are so realistic they’re annoying. Deja is the type of little girl who usually has books written about her, making her look cute and funny. 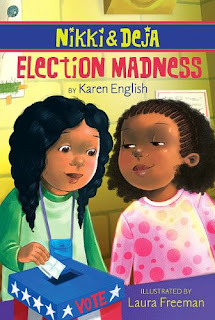 Maybe it wasn’t the author’s intent, but Karen English seems to have shown her in a more balanced light, showing how she hurts other people’s feelings and isn’t a very good friend because she is so focused on being in charge and her own ideas and wants. Verdict: This is a very realistic story of girls’ friendships in school – read and discuss with your own young girls or it would make a great choice for a book club, talking about healthy friendships and how to deal with bossy and controlling friends. I’m going to part from the general consensus and say quite frankly: This book did not work for me. I admit that part of my disappointment stems from the fact that I somehow got it into my head that it was going to be a beginning reader graphic novel by Doreen Cronin. I still think that was a great idea! However, I was quite pleased with the idea of a beginning chapter mystery. You can never have too many. But. It’s faux noir. I have a huge beef with this weird sub-genre. It includes such series as Chet Gecko, Joey Fly, and more. I can see the temptation to spoof, satire, and imitate the noir mystery genre. All those witty one-liners! Short, pithy sentences! Cool, world-weary detectives! But…how many kids have the faintest idea what all those allusions are hinting at? Show me an eight year old who knows all about the great noir classics and I’ll…show you a very disturbed child? Now, there’s nothing wrong with pithy one-liners and a beginning chapter mystery can certainly work without kids getting the complete context. But. This book confused me and I am not an eight year old working my way into chapter books. There were more cliff-hangers and sudden changes in character and plot in this story than a tornado in a bookshop. The final reveal…didn’t really make sense. At all. By then I was so confused I had to go read the book over again. So, maybe it's just me. Verdict: I don’t trust my judgment on this one because of my personal dislike of faux noir and apparent temporary brain coma whilst trying to figure out the plot. Based on the strength of all the positive reviews, I purchased it anyways. I hope that was the right decision…I will try to remember to update this with kids’ reactions, since I passed the ARC on to some of my craft program kids. ISBN: 9780061215322; Published March 2011 by Balzer + Bray; ARC provided by publisher at ALA Midwinter 2011; Purchased for the library. I’m focusing on our easy reader collection this year, adding replacements for classic easy readers and trying to create a strong, balanced collection with a variety of reading levels and subjects. I’m especially looking to add more nonfiction easy readers, so I borrowed several titles from Scholastic’s/Bellwether Media Blastoff! 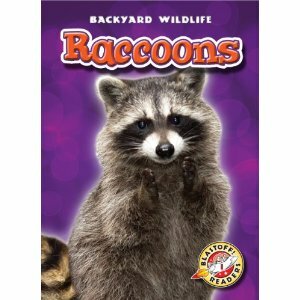 Readers series, Backyard Wildlife. 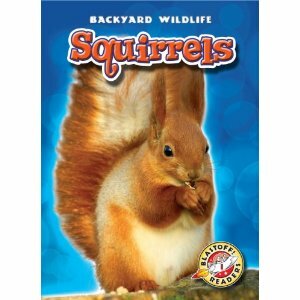 This series includes various common animals; including the three I borrowed which look at Squirrels, Raccoons, and Chipmunks. 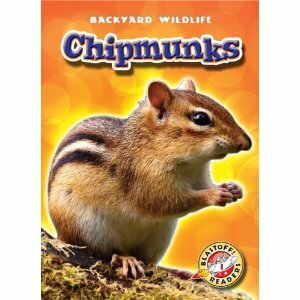 Each book has a table of contents and about 18 pages of information, including basic identification, habits, some special abilities like climbing trees or storing food in pouches, what the animal eats and where it lives... A very brief glossary, additional book titles, and a link to the publisher’s website for more information and links to other websites and an index complete the book. Each spread has one or two simple sentences on the left and a colorful photograph of the subject animal on the right. The photographs are attractive, but I found the overall design of the pages a little annoying, as the top quarter of every spread is taken up by a colored swirl matching the cover of the book. I’m not sure why, but it looks kind of silly to me. Verdict: This is a good easy reader series for kids who like animal nonfiction and want to learn some basic facts about the animals they may see every day. They are library bound, so the discounted $18 price is a bit steep – I usually don’t pay more than $12 for hardback easy readers, but I’ll probably splurge on a couple of these because I haven’t found anything similar and they’ll round out all the “weird animals” nonfiction easy readers and juvenile I’ve purchased. This week at the library; or, unplanned lock-in! The day began with severe thunderstorms that brought down a tree and all the power lines at my apartment, knocking out all the electricity. Then I got to work and found the poop smeared all over the library entrance windows and somebody had upturned the cigarette thingy into the outdoor trashcan. Then the day began. Yay. I discovered someone had stolen our audiobook of Harry Potter and the Deathly Hallows, a parent informed me they couldn't finish their activity log b/c she did not allow glue in her house and they never came to library programs, I still cannot get my book budget to balance, and it is a muggy, muggy day. Blah. We had about 15 people come for our movie showing of Tangled. Now I have THREE separate numbers for my book budget and none of them match. ARGHHH. Great Storywagon with Chris Fascione. I've been thinking "argh, small numbers" but then I count and realize "Wait a minute, 70 people is GREAT" I just got used to an extra 50 kids that a daycare brought last year. Last year I had about 5 kids for my Twilight party with henna. This year I called it "Body Art" and advertised jewelry and henna...and at the last minute remembered that I told my aide her cousin, Joye, could come and do nails. It was a HUGE SUCCESS and we had 20 teen girls (well, 11 and up). We had a few hiccups - I ended up with only one henna applicator, which was a problem and some of the girls got kind of tired of waiting their turn. But once the girls saw Joy's amazing nail art, they all wanted some! And one of our moms who is expert at henna showed up (she told me to call her last year and I FORGOT) so we had someone to actually do the henna. We were nowhere near quitting when it hit 8pm closing time, so we stayed. I finally said we had to end at 9pm and shooed everyone out! Everything felt a little off kilter today, b/c I was at work so late last night. About 55 people for Lego Building Club. Eh. It was Friday. I've nearly finished the rest of my Preschool Interactive plans for the summer, just have a couple flannelboards to finish. 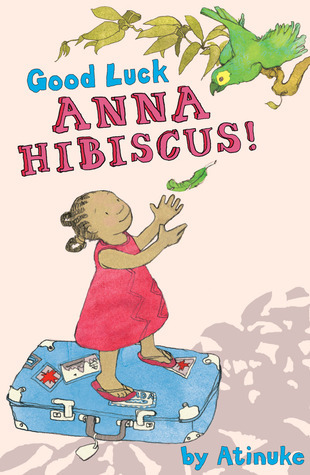 Anna Hibiscus is back! When I first discovered these beginning chapter books, I completely fell in love with them. They are unique in the beginning chapter book genre, especially realistic stories, which is overwhelmingly full of obnoxious and/or quirky girls in school with the occasional boy-constantly-in-trouble character. Anna Hibiscus takes the reader to a whole different culture and will introduce children to the idea that books really can make you travel to a fascinating and completely different land, something which is often advertised (how many times have you seen posters for traveling with books?) but rarely fulfilled except in fantasy. In her third book, Anna Hibiscus and her family are living through the Harmattan, when the wind blows sand over their garden and the city and water is a precious commodity. In her first story, Anna and her family are carefully guarding their water to drink, wash, and keep their most beautiful garden green. But when the girls at their gate who sell oranges tell them of the drought in the city, the family decides together to water the children of the city instead of their garden. In her second story, Anna gets in big trouble because of her twin brothers Double and Trouble. But in the end, her grandparents make everything right. Anna’s third story reminds us of her promised trip to her mother’s relatives in Canada and the fulfillment of her wish to see snow; before she can go, she needs warm clothes and we get to see the contrast between the various stores in the city and the warmth and love between Anna’s mother and her mother-in-law. Finally, Anna is having second thoughts about her trip, especially when everyone seems to have forgotten her already! How can she go away for an entire month? But then her family shows her their wonderful surprises and she knows she will take their love with her on her wonderful adventure. Anna is a cheerful and sometimes stubborn little girl whose experiences in a family, culture, and country very different from the United States will fascinate beginning chapter readers. She tends to look very young on the covers, so you will need to do some booktalking to get kids to take a break from their usual bland fare of girls and boys like them in schools like theirs in towns like theirs. Verdict: Although these books may not get the high volume of circulation that the obnoxious Junie B. does, (seriously, that girl is ANNOYING), they are worth buying to add some variety and balance to your collection. Do a display on children in different countries, booktalk them to chapter book readers who are getting bored, have a beginning chapter book club with them. They come in paperback and are very reasonably priced, well worth adding to your library. A fourth book, Have Fun Anna Hibiscus, is also being released, detailing Anna’s adventures in Canada. I really love Marthe Jocelyn’s concept books which she’s created with Tom Slaughter and now I’ve also fallen in love with her new collage illustration style – and with this new concept book! 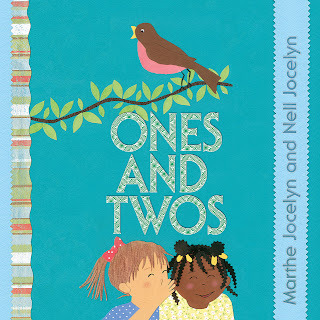 The Jocelyn’s exuberant cut paper and fabric illustrations are accompanied by simple matching sets and rhymes. 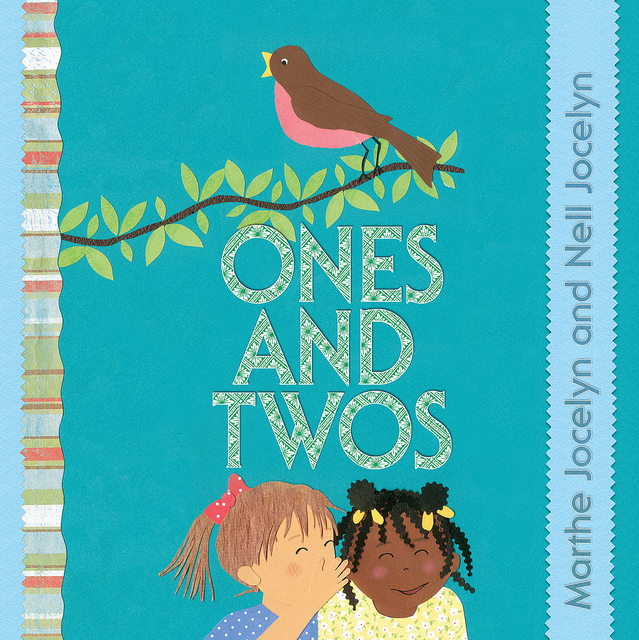 “One bird, two eggs/One girl, two legs.” The simple one, two scheme continues throughout the story as the girl meets what appears to be a friend and the two spend a happy day at the park. At the end of the story, we see the completion of the circle with the bird returning to her eggs and the girls, who turn out to be sisters, snuggled up in bed together. This story is so simple, full of small pleasures and little beauties. Gaily patterned flowers sprinkle the green paper ground and embossed sky, while a placid cupid pours blue rick rack trim from a bowl of paper blue water. Pink and purple striped wallpaper is decorated with children’s drawings and scattered toys. The border at the bottom of each page has exquisite, tiny decorations; toys, bits of trash, flowers, and birds, which match the theme of the larger illustration spread. Verdict: Recommended especially for concept collections, this is an excellent read-aloud for toddler storytimes, before bed, and for poring over with friends or parents. 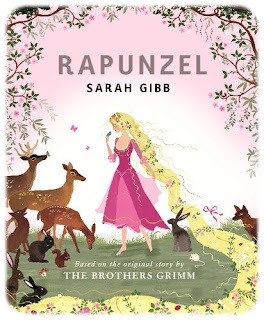 Not technically nonfiction, but usually shelved in the 398s so...While Dorothee Duntze's and Trina Schart Hyman's Rapunzel versions remain my favorites, this one is so gorgeously pretty that it simply must be mentioned. The text is quite lengthy and most of the main points of the original text have been retained; the craving for salad, deal with the wicked witch, locking Rapunzel in a tower, secret meetings with the prince, discovery, separation, the prince's blindness and eventual healing with Rapunzel's tears. There are some major differences in the story. Several plot elements have been "sanitized"; the prince "was so badly hurt that he could no longer see" instead of having his eyes pierced with thorns and when he eventually finds Rapunzel, she is not living in a wasteland with twins, but safe with the woodland creatures and there's a noticeably lack of the patter of tiny feet. Which leads to several of the additions to the story, mainly "the woodland creatures." I would guess the author is a fan of the Disneyfied Snow White, since that's the only fairy tale version I can think of with such...helpful little animals. Rapunzel plays with them, they cheer her loneliness, and eventually lead the prince back to her. At the end of the story, Rapunzel at her wedding is reunited with her peasant parents, and there's a happy ending for everyone but the witch, who retires into a hermit-like existence. Although I can't resist being a bit snarky about some of the too-too sweet parts of the story, it is mostly a good retelling, pleasantly written and parents who are reluctant to introduce their princess-loving little girls to the dark side of life yet will be perfectly happy with this version. Which brings us to the illustrations. Now, I am not a pink fan and these illustrations are very pink, but I loved them anyhow. They have a delightful and intricate delicacy that reminds me of Kay Nielsen's delicate traceries and silhouettes. Gibbs' illustrations are imaginative and lovely, ranging from elaborate silhouettes with pastel backgrounds to double page spreads full of color and tiny flowers and vines. I would totally want wallpaper of this for my little girl's bedroom. If I, you know, had kids. Or, come to think of it, I would absolutely buy fabric with her trees to make curtains for my four poster bed...ahem. Verdict: Absolutely buy this for your fairy tale section. I really wish I had bought this one and not John Cech's version, which wasn't as pretty as I had expected....I simply must reorganize the budget so I can get this! In my library, I have a teen section upstairs and a juvenile fiction section downstairs. I have about 1400 in my budget for the teen section for the year - this includes fiction and graphic novels - and about 2000 for the juvenile fiction - including series, beginning chapters, graphic novels, etc. These numbers are kind of general as I shift them around a bit, but that's what it usually works out to. I do think my teen section skews towards books of interest to girls and with female protagonists. There's three reasons for this. Circulation and budget. We are very dependent on our circulation numbers to survive. So I buy more heavily titles that I know will check out and check out frequently. This generally means bestsellers which generally means paranormal romance and teen chick lit. Once I've bought the popular stuff and all the items teens specifically request, there's not much left. I've seen various studies that girls read more socially than boys and this shows up in my own experience. All the teens who request titles, tell me about what their reading, ask for recommendations - they're almost all girls. So, their voices get more weight. I have to justify my purchases and "10 girls asked me to buy this" is going to trump "I think a boy might really like this" every time. My library focuses on early childhood and elementary school programming. I have maybe 3-5 teen programs a year, compared to 7-10 storytimes and after school programs for kids 12 and under every week. I also have no outreach in place for teens above 6th grade. Would I like to have more teen programming? Yes, of course! I would also like to live to see 30 without burning out or having a nervous breakdown. In addition, even the really strong teen programs I've seen at other libraries in our area have widely varied attendance and I have to show regular, strong numbers for my programs by the end of about 3 months or they get cancelled. All of this is to say, I have a good relationship with a group of teen girls that I snagged in 5th grade and with a few older teens I've managed to hook, but I don't have regular interaction with most of our teens - the teen section is on the upper floor where there is no librarian for another thing - and I don't really know what the guys want to read. Finally, I would say that yes, boys are much more likely to read if a book is pressed into their hands. I am able to do this more when parents bring their boys up to my desk, but for the random teen boys on the computer or hanging out with friends in the teen area...I simply don't have time for extensive individualized readers' advisory, much as I would like to see every boy leave the library with a book. So, honestly? Yes, we have waaaay more girl books than boys books because it's the easy way out. It's easier to buy books I know will circulate without me having to booktalk each one to boys I may or may not see. It's easier to justify using my budget to buy books specifically requested by patrons who are waiting to check them out. I do have more "boy books" in the juvenile section, because I think there's less gender division - girls will eagerly read the "adventure and explosion" books that grab younger boys as well. Also, since our combined services desk is in the children's area, I have more chance of booktalking the kids who come by. I don't think this is a good thing. We should have more boys reading, more teen programming, more books with a wider appeal. This week at the library, what there is of it! I pared our programs down to the bone this week because it's the hiatus between our two summer schools. Lots of people are gone, Ms. P isn't available for storytimes, and I need some time to regroup! I worked on preparing the rest of our summer programming. One of my two programs this week was a late afternoon book club. We had about 10 kids check out the book, Crunch by Leslie Connor, but only 2 came. Messy Art Club today, but I wasn't here for it...I was in Ohio. We had a strong turnout again, about 60 kids and parents came to decorate plastic recyclables and plant peas in them. No programs today and I was in Indiana. If you ever have the opportunity to see the Fort Wayne library, do it. It is truly breathtaking, especially if you get to visit all the secret parts in the lower levels! Typical Saturday, hordes of people for the first two hours, death for the next hour and 45 minutes, hordes of people for the last 15 minutes. I did manage to get some more of my Preschool Interactive programs planned, although they're not complete yet. And now it's back to the full program schedule! Miriam the baker makes wonderful bread. Bread to “make your nose twitch and tastes to make your tongue tingle.” She loves her bread, especially the cinnamon bread her mother taught her to make and she sings to it all the songs her mother taught her. Sebastian falls in love with Miriam and her wonderful bread and they are married. 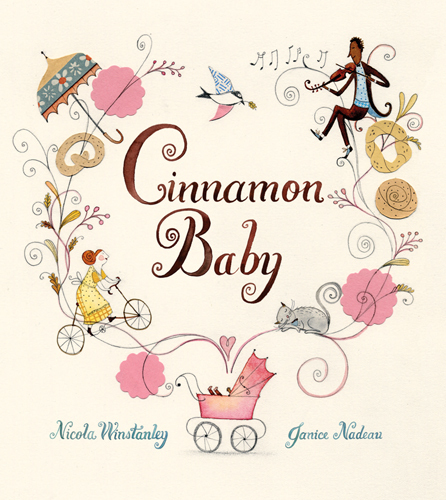 Miriam becomes pregnant and continues to mix her marvelous cinnamon bread and sing sweet songs to it and her unborn baby. Their baby is born and “Sebastien knew it was the most beautiful and perfect child that had ever been born.” But then the baby begins to cry. Nothing the parents can do will comfort the baby until Miriam begins to bake bread. When the sweet smell of cinnamon reaches the baby, it stops crying and all is well again. This story is lengthy for a storytime with toddlers or babies and has a slow and peaceful style that will leave most preschoolers wiggly. But, it’s perfect for a bedtime story for a sleepy child or for one who enjoys the sound of beautiful words. The illustrations swirl and dance along with the poetic language, celebrating families and baking, babies and love. Verdict: Not a required purchase, but definitely recommended if you have parents and children who like sweet stories that will be favorites to remember as they grow older. A lovely book for a special child and their parents. ISBN: 9781553378211; Published February 2011 by Kids Can Press; Review copy provided by the publisher through Raab Associates. Oh, blah, I can't summarize any more. I tried to like this one. I really did. I even ended up with multiple ARCs! But I just couldn't. It was like someone handed Gutman a list of "things to include in an exciting adventure story for middle grade kids". Weird names for the characters? Check. 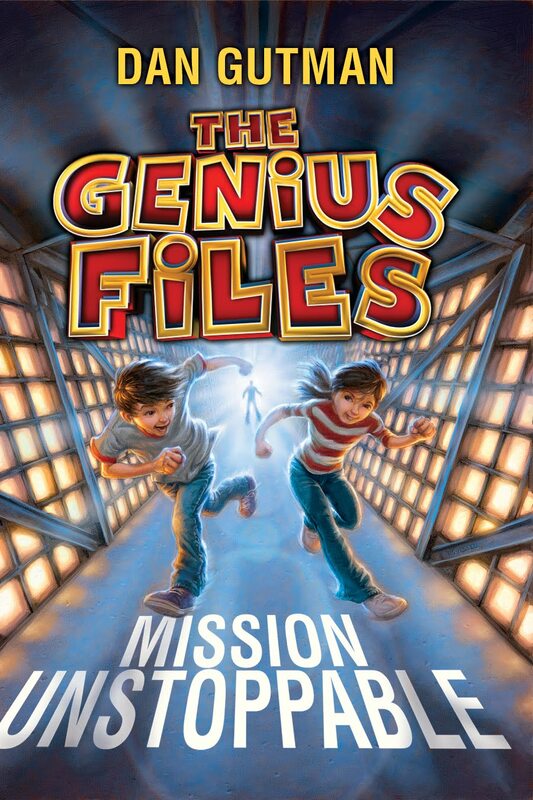 It felt more goofy than adventurous and I have so many "kids discover their part of a secret society and have to save the world" books that this is overkill. Verdict: Although I didn't like this one, a lot of kids probably will - they don't mind reading the same story over and over again. Buy it if you have lots of Gutman fans at your library, or kids who like this type of adventure. I prefer Michael Buckley's Nerds series and we already have a lot of this kind of adventure fiction, so I'll pass. This was a fascinating look at a section of history I never thought much about. I was aware that the number of slaves on Caribbean islands was far more than in the US, but I had never thought that much about the historical and economic pressures behind their presence. 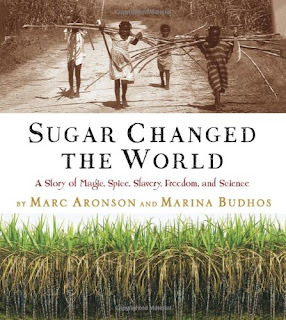 Aronson and Budhos take the reader on a journey from the authors' own personal connections to sugar to the history of the sweet taste that humans everywhere have craved. We see the problems with transportation and cultivation in the Medieval period that made sugar rare to the sugar plantations and colonies on the Caribbean island that made sugar - and lives - a cheap commodity. 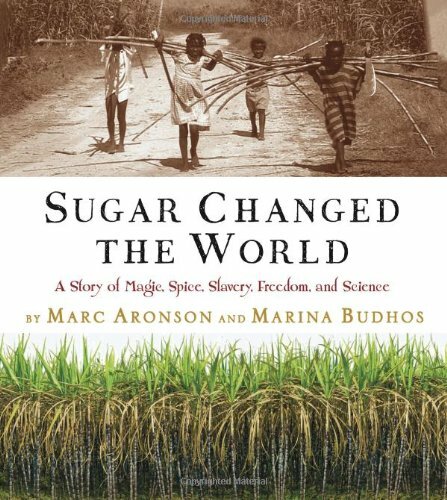 The story ends with the conjoining end of slavery and development of industrialization of sugar production and the growth and changes in the sugar industry that bring us to modern production. Along the way, we see how sugar affected Ghandi's reforms in India, colonization all over the world, the multiculturalism of Hawai, and much, much more. The book is illustrated with black and white photographs, maps, and images of artifacts. A brief essay at the end of the book, directed towards adults, talks about the research process and some of the contradictions to common knowledge the authors found as they created this book. Acknowledgements, a timeline, a list of websites where color versions of the photographs can be seen, lengthy notes and sources, a bibliography, websites consulted, and index are also included. This story is as much about research as it is about history and sugar. The way history changes, and the way modern researchers investigate are both intertwined. This book would be an excellent example of a in-depth research project. But how many middle school students and teens will pull it off the shelf? As I try to decide what direction our juvenile nonfiction section is heading in, this is something I find myself thinking more and more about. There are many great middle grade nonfiction books out there; but the audience for them seems to be progressively shrinking. More optimistically, I think many middle grade students use the school library for "serious" reading and the public library for entertainment. If they need research for a report or want a good book for assigned reading, they go to the school library. When they want to read for fun, they come to the public library. Also, most of our recreational nonfiction seems to check out to younger children and their parents (except biographies. Maybe I should move the picture book biographies to picture books? It's a thought). Kids want books with lots of facts about animals, cool machines, war, sports and crafts. As well-written and researched as this title is, I don't see a wide audience for it in our library. Verdict: I am sticking to buying high-interest titles for our nonfiction section and sadly, that means very little history. However, if you are a school library - or a public library whose surroundings schools have limited library resources, or if you have a lot of kids interested in history, go for it! It's a truly fascinating book, as much for the topic as for the writing and research. I think I'm in...not exactly a reading slump, but an obsession slump. See, I have this little tendency to obsess and organize. I think if I had stayed in cataloging I would have become completely insane. Last time I was at Half Price Books I realized I had lost the fun of buying new books, trying new things. I was only getting stuff that was "on my list" and I've weeded my personal library down to the infamous list as well. Most of the new books I have are ones I read as a reviewer and "have" to blog. New books from the library are almost all holds, no more fun browsing. I miss having access to a BIG library system, where I can browse shelves and find something new to take home. I know almost every title that's on our shelves, which makes for great reader's advisory, but not fun reading discoveries. I miss going to library sales and picking up a box or two of books that look like fun. Everything in our sale I've weeded or sorted myself - I know what's there. I started realizing how much I missed the joy of discovery and "free" reading when I started paying frequent visits to the comic shop in the next town and getting random free comics. Of course, this was all an evil plot, because now I have to buy more comics so I can find out what happened in the storylines, but...I was having fun. Every once in a while, I have to ease back on the scheduling, the obsession, and tamp down my inner cataloguer. I can't do much about my hectic schedule and massive amounts of stress right now, but I can let "the list" go. So I went to Half-Price books and bought a nice stack of books and comics I've never read before, never even seen before, and which aren't on the list. I'm going to have fun again. Even if I have to schedule it! I also bought a few Mercedes Lackey books and an issue of Jeff Smith's Shazam and a Batman the brave and the bold comic which were "on the list"
This week at the library; or, Goodbye June! Phew, no programs today! It was actually pretty calm. Just four hours on the desk, staff meeting, and what was supposed to be a brief project overview with my intern which turned into a lengthy reader's advisory session b/c of all the kids and parents wandering around (-:) I even made it home by 5! Mostly b/c I left in disgust at 4:45 when Amazon gaily deleted the 50 item order I was about to send. Another morning on the desk, pretty busy since I didn't make it in until 8:45 (I like to be at least 30 minutes early when I open) but I managed to rebuild the Amazon order and get it sent, but not before discovering I had somehow calculated my av budget incorrectly and I have $300 less than I thought I had, so I had to take a lot of stuff off my list and now I'm planning for really miniscule av orders for the rest of the year. My teen volunteer came and was very helpful, although our expected large crowds did not show up for our Storywagon performer - we only had 50 people. I don't think people are as interested in a storyteller as in the "high profile" people like magicians or live animals. On the bright side, we didn't have a lot of people showing up 30 minutes late and being upset because of the time mistake I made (which I found out 30 minutes before the program was in the paper incorrectly as 1:30 instead of 1:00.) More work with volunteers, lots of drama with some...less-than-mentally-stable patrons, managed to get most of my Thursday program written up, drove over to the next town to get the rental car I'm driving to Chicago tomorrow, back to work to process new books and work on flannels, home by 5:45 and starving, since Tuesdays don't really allow time for lunch. Up at 4:30am for drive through Chicago (bonus points for anyone who has figured out what my extracurricular activities are...) Stuff happened...made it back and dropped off my rental car with time to change my clothes but not time to eat unfortunately before setting up for Lego Building Club, 65 people, then an evening on the desk and home for the first food since last night's dinner...trail mix doesn't count! Preschool Interactive is still going well, I invited a couple older kids in to join in our art project (they had taken the morning off of summer school and "thought it would be fun" to visit the library!) My flannel pieces for Bateman's The Frog With the Big Mouth were kind of awkward b/c I really needed a second person to put them on and hold them up. I need more velcro! We had about 20 people, so I was happy. Popped by the middle school early to pick up our poster with summer flyers - summer school is out for a week, so I'll have time to redo it with new flyers. Covered toddler storytime for Miss P, who was leaving early for a family vacation. We only had a few people, just 17, as opposed to our usual 30-50. Unfortunately, our construction on a neighboring street is in full swing and "Senior Travel" which meets the first Friday of every month has chosen not to meet elsewhere this summer, so there was literally no parking, which parents weren't happy about. Several people were planning to leave right away on camping trips, and I gleefully exhausted their children so they would sleep right away! We had one little kid who basically screamed the whole time, but I just raised my voice. His older brother didn't want to go out, his mom didn't want to take him into our workroom, and as a sub I just let it go. We started out dancing to Funky Mama's cd Moo Juice, the song Pop 'n' Hop, then we did Elizabeth Mitchell's Sunny Day which I have made motions to that involve moving up and down several times and turning in circles. Then we read The Wide-Mouthed Frog by Keith Faulkner (pop up version), sang Five Green and Speckled Frogs using the flannel board and standing and clapping. Then we did Scott Fischer's Jump, crouching down and jumping every other page. Then we did "Hop Hop Little Froggies". Then we did Ethan Long's The Croaky Pokey. I was soaked in sweat by the time we finished and ready for a nap! The kids were ready to make the craft Miss P left, some kind of Uncle Sam with glue, streamers, etc. A little desk time, and the day is over! I really loved Scott Sava's Hyperactive and ever since I read it I've been looking for something similar. Unfortunately, his other works just don't work for me. A neighboring librarian bought a large selection of his comics (I just recommended Hyperactive, you totally went nuts Sara!) so I borrowed them all to try to find one that was as funny and readable as Hyperactive. In this comic, The Luckiest Boy, Russell is pretty sure he's the unluckiest kid to ever walk the planet. After a day of small but endless disasters, he comes home to find out his dad has lost his job and the Superbowl tickets he won are gone with it. The next day, Russ's run of bad luck continues, ending with a desperate flight from bullies, a quick save from the friendly girl he banged into the day before, and the sudden appearance of a leprechaun. Having lost his pot of gold, the leprechaun must grant Russ a wish...and his luck immediately changes. Unfortunately, he's stealing the good luck of the entire world and life on earth is doomed unless he gives it back. Which he does. His good luck promptly vanishes, along with all the wonderful things that happened to him, but he's perfectly happy to be alive, no luck needed, everything's good. In fact, when the leprechaun gives him some gold after all, everything is perfect. The computer animation art has a generic feeling to it; it's easily readable and there's lots of expression, but it's just kind of boring. 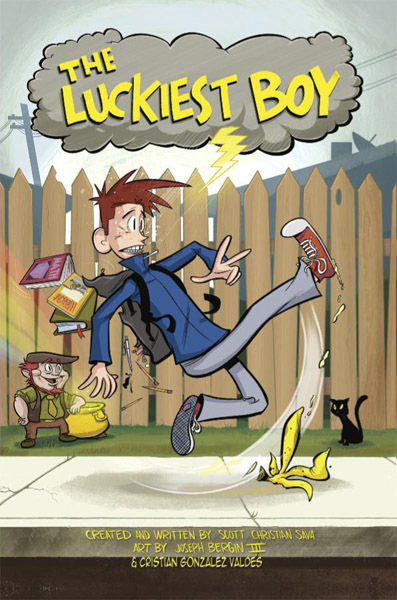 While some parts of the storyline have appeal - the feeling that you're the unluckiest kid, having a bad day at school, the exaggerated events and the introduction of a cute leprechaun don't say "kid appeal" to me. Most of the story feels too young for a middle schooler, but Russ's awakening interest in girls and the ages of the characters seem to be aiming it at that group. Verdict: An additional purchase if you're building a large juvenile graphic novel collection, but not necessary if you're working on a small core collection. I would like to see sequels to the Hyperactive storyline, which is popular with my kids. I don't see this as having a lot of kid appeal.